Lock in a great price for Hotel Welcome Inn – rated 8.8 by recent guests! Hotel close to airport and have convenient shuttle. Very nice property keeping in mind that they are budget hotels. 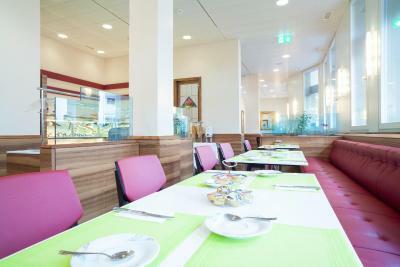 Great location - a few hundred meters from the Kloten Railway station...access to DT Zurich..... and regular shuttle to ZRH provided. A competently executed welcome and accommodation, at a great value for money. 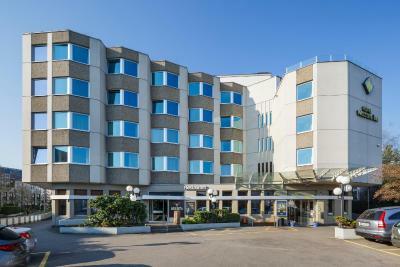 This is our go-to hotel in Zurich for overnighting prior to our intercontinental flight. Easy to find, very close to the airport, super efficient airport shuttle service ( don't forget to book it! ), walking distance from train station to go downtown, and staff instructions for directions and things to do downtown were spot on! Nice room layout and overall comfortable rooms. WiFi works well and close enough to the airport. I was very early so had no breakfast but I like that the coffee machine was up and running already and there where paper cups to take away. There are several restaurants and shops on walking distance. Room was updated. Train tickets can be purchased at the reception desk as well as you can change money there. Stuff is friendly and helpful. Also, they allowed us to leave the car at the hotel parking after check-out, so we could travel to the Uetliberg (mountain) and come back in the evening. And, regarding average parking fee of 3 CHF/hour in Zurich it was a good deal! Excellent location if you want to be close to the airport and easily get the train to the city. 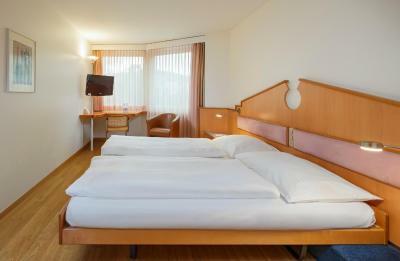 The hotel is ideally located for people who will require a night stay before they fly out from Zurich airport. The staffs are also helpful. Hotel Welcome Inn This rating is a reflection of how the property compares to the industry standard when it comes to price, facilities and services available. It's based on a self-evaluation by the property. Use this rating to help choose your stay! 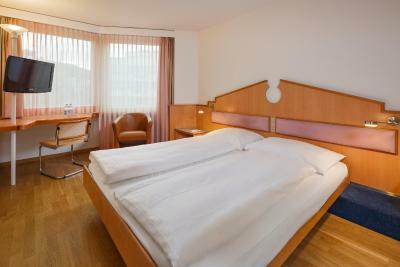 One of our top picks in Kloten.The Welcome Inn enjoys a central location in Kloten, 0.6 mi from Zurich Airport. 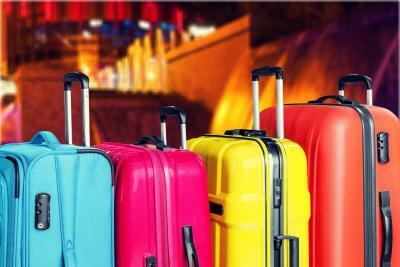 It offers a airport shuttle, free WiFi, and free parking for guests during their stay. 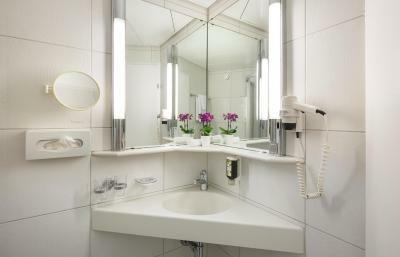 The Welcome Inn’s rooms feature a work desk, a refrigerator, flat-screen satellite TV, and a bathroom with hairdryer and make-up mirror. Breakfast is served from 06:00 every day. 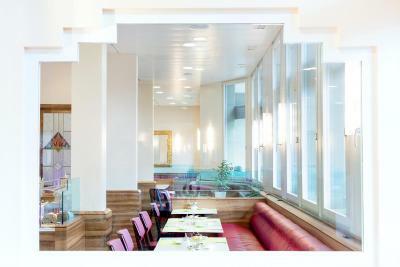 The stylish restaurant MEAT's Steak & Wine is located in the same building. 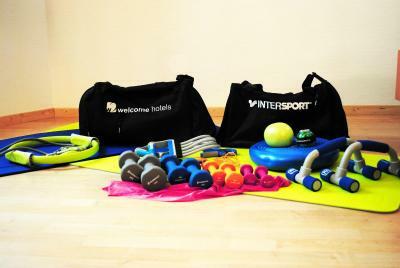 Guests of the Welcome Inn can enjoy the on-site fitness room. A public swimming pool, an outdoor fitness trail and a rope course are located nearby. 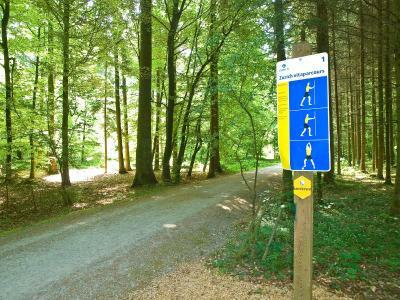 The fitness trail is free of charge and the rope course can be used at an additional charge. After your hotel stay, you can leave your car in the hotel's car park at an additional cost until you return from your trip. Many shops, bars and restaurants are within walking distance. 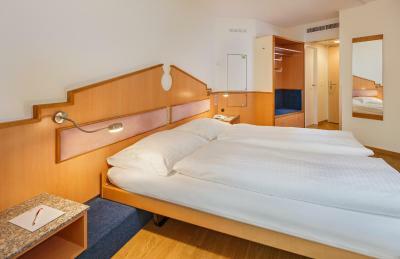 Kloten Train Station is 800 feet away, and the train ride to Zurich takes 15 minutes. This property is also rated for the best value in Kloten! Guests are getting more for their money when compared to other properties in this city. When would you like to stay at Hotel Welcome Inn? 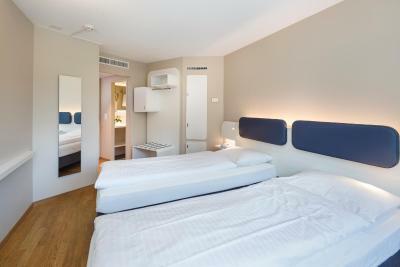 This room features a refrigerator, satellite TV and free Wi-Fi. 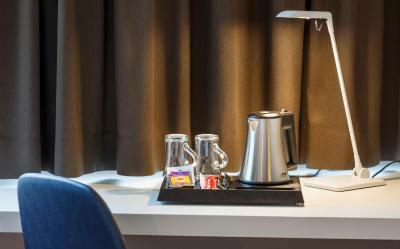 Entirely renovated rooms featuring a comfortable box-spring bed, a bathroom and a separate toilet, tea and coffee making facilities, a refrigerator, bathrobes, slippers and free high-speed internet. This newly renovated room features a box spring bed, a refrigerator, a TV with satellite channels, a safe and free high-speed internet. 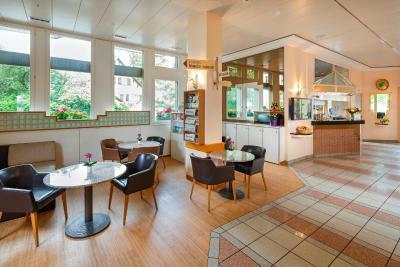 Our hotel is part of welcome hotels, the Swiss hotel group with heart. 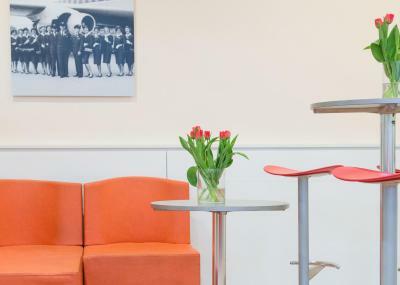 With a total of 716 rooms at Zurich Airport, Zurich, Baden, Basel and Bern, this family-run company currently operates nine 3- and 4-star hotels and 10 restaurants. The Swiss company is owned by private shareholders. House Rules Hotel Welcome Inn takes special requests – add in the next step! 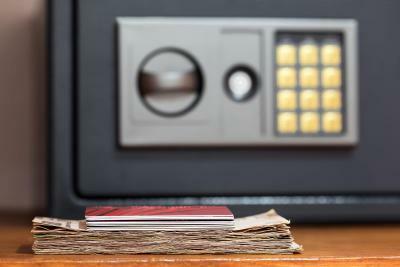 Hotel Welcome Inn accepts these cards and reserves the right to temporarily hold an amount prior to arrival. Please note that free parking is only possible for guests staying at the Welcome Inn. At check in there was a sign saying they were charging for shuttle when the internet said it was free. Little disconcerting. No one asked for payment but sign was there. There is no smoking room inside the building. Tea and coffee. It is free of cost. shuttle bus service. And weighing machine. I thought the entrance lacked class/style; the reception didn't look particularly appealing. The breakfast was so-so - quite expensive for what I got (18 chf). The room was very spacious and comfortable. The TV had a very good selection of channels. There is an excellent steak restaurant adjoining the restaurant ("Steak & Wine"), which - though pricey - offered an excellent meal. Staff were pleasant and friendly. There is a good Wifi service in the hotel, too. At the first entry into the room felt a bad smell. Better to have a room freshner applied before guests enter the room. Rest experience is quite good. Nice view from the rom window. Airport shuttle service. 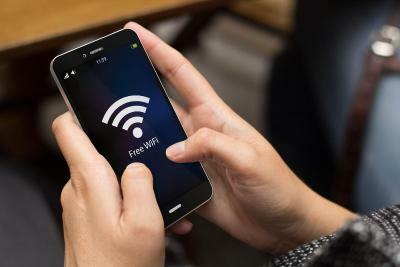 Good wifi connection. Helping Staff at reception. 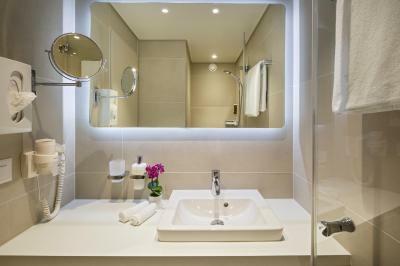 Small shower areas,and staff don’t speak English. Good location , near airport. Close to public transport shops and airport. Very clean and comfortable. The accommodation had everthing we needed. The bed was cosy and breakfast had a good selection of items. The staff were first class. Arrived late so had to take taxi from station to hotel 20 chf ...would be difficult to find with heavy suitcase walking . 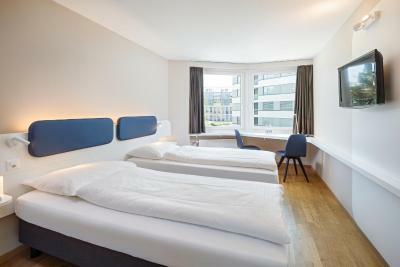 Clean comfortable room .Shuttle bus to airport . 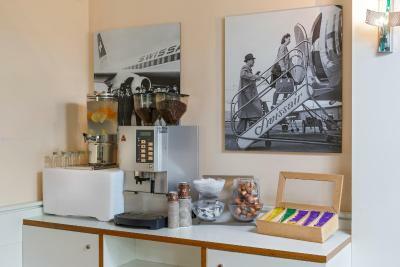 24 hr Tea and coffee in lobby. 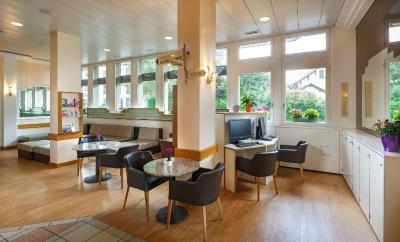 5 minutes away from the Airport, Hotel Welcome Inn turned out to be the perfect place for my short stay near Zurich. Delicious breakfast available - fresh apple juice included! Considering the average prices at restaurants in Switzerland, the full breakfast available at this hotel for 16 euros (from 6.30 am, no less!) is extremely reasonable! The rooms are spacious and quiet. Both the receptionists and the Kitchen staff were kind and helpful.